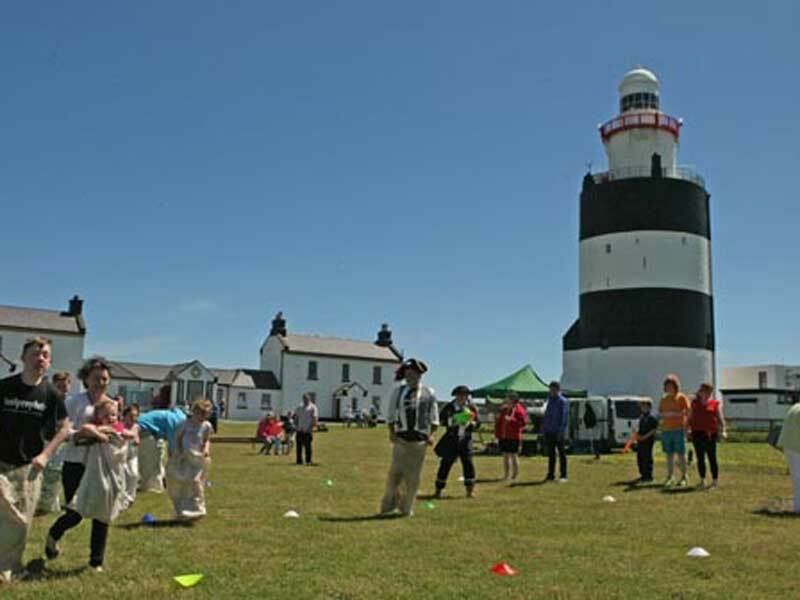 Annually Hook Lighthouse hosts a plethora of festival, special events and fun family days. 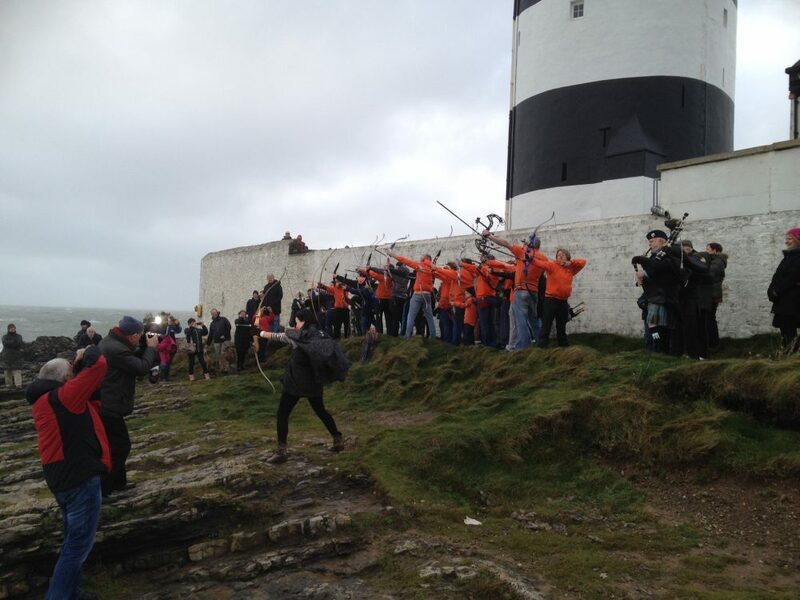 A centuries-old tradition will take place on New Year’s Day at the 800-year-old Hook Lighthouse as the Dunbrody archers, will take part in a traditional “arrow ceremony”. The Dunbrody Archers and the Chairman of New Ross Council will participate in the ceremony. The age-old tradition dates back to 1687, when the Mayor and the corporation of New Ross Town Council claimed their authority over the Tower and waters by travelling to the point of the Hook and shooting an arrow into the sea from Hook Head Lighthouse. On New Year’s Day 2018 The Dunbrody Archers will assist the Mayor of New Ross in an ‘arrow ceremony’. The Mayor will cast an arrow into the sea symbolising the Ports authority over the estuary. Members of the public are invited to come and watch the free historical event at 3pm on New Year’s Day. Hook is renowned as the oldest intact working lighthouse in the world, from the 5thcentury monks lit fires to keep the ships at sea safe. The Hook Lighthouse tour incorporates 115 steps to the top of the lighthouse tower featuring holograms illustrating the ancient history of the tower and the Hook area and spectacular views of the southern coast. In the afternoon storyteller Baya Salmon-Hawk who will offer free story telling sessions for children telling ancient Celtic tales from 2 pm to 4 pm, she will also be assisted by Captain Hook. Sitting at the tip of breathtaking Hook Head in county Wexford the world’s oldest intact working lighthouse is offering couples the chance for seaside romance this Valentine’s Day with the chance to explore the ancient lighthouse for free on Wednesday, February 14th 2018. Couples are invited to climb the 115 steps of this fifth century tower where the monks of Hook Head in Co. Wexford lit fires to warn ships off the rocks. With each step you ascend you will delve back in time and hear the fascinating tales of the Knights, the Monks and Light keepers who lived there along with the battles, shipwrecks and heroic seafaring they encountered before you step onto the tower balcony to view the miles of sea and coastline stretching out across the Celtic sea. Also on offer at the 800 year old lighthouse is a delicious sharing platter of a selection of homemade desserts plus two glasses of prosecco for €10 each, available at the Lighthouse Café from Saturday, February 10th to Sunday, Feb 18th, 2018. 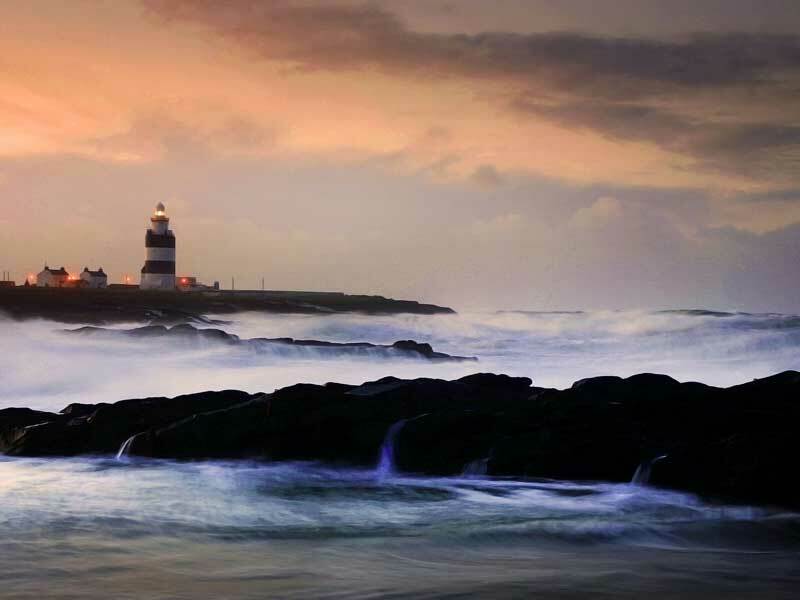 Hook Lighthouse is rich in history, character, natural beauty and romance. The tower was built by the 1st Earl of Pembroke William Marshal also known as the ‘greatest knight that ever lived’, he came to Ireland for land but also for love; he married the daughter of Earl Richard of Striguil otherwise known as ‘Stongbow’. His wife Isabel de Clare’s inherited wealth paired with William’s earned status made for a fortuitous pairing, they became very much the medieval ‘power couple’. From what can be gleaned from the history books, the marriage was successful at a personal level. They were to have ten children, five boys and five girls, and there is no hint of there ever being any estrangement between them. Although close throughout their 30-year married life, Isabel and William remain separated in death. As befits his status and Templar affiliation, he is buried in the Temple Church in London, while she is buried in Tintern Abbey in Wales, close to her mother, Aoife (a Waterford woman and wife of Strongbow). But there is also an Irish connection for Isabel’s remains, a cenotaph discovered in the churchyard of St Mary’s in New Ross, Co. Wexford, carries the words Isabel Laegn (Isabel of Leinster). It is suggested that the cenotaph marks the burial place of Isabel’s heart, as her heart always remained in Ireland. We know how hard all you wonderful mums work day in and day out and to honour you we are delighted to welcome all mammies on Mother’s Day and offer you access to a free tour on the day. 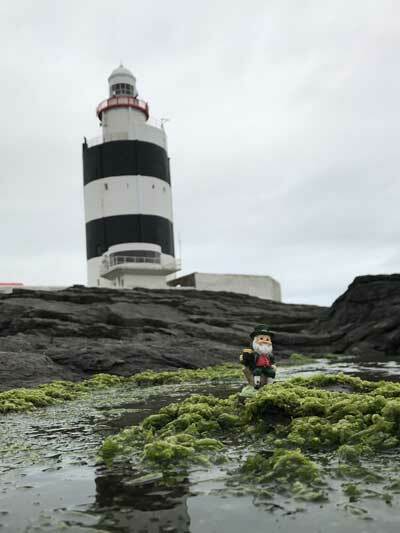 Celebrate all that is uniquely Irish at hook Lighthouse this St. Patrick’s Day … from a green theme in our café and our celebration of Paddy’s… yes, that’s right, if your name is Patrick, Pat, Paddy or Patricia you can enjoy access to a free Lighthouse tour on St. Patrick’s Day. Hook Lighthouse presents family fun games and entertainment this Easter Bank Holiday weekend ….arghhhh and of course lots of choclatey treats. 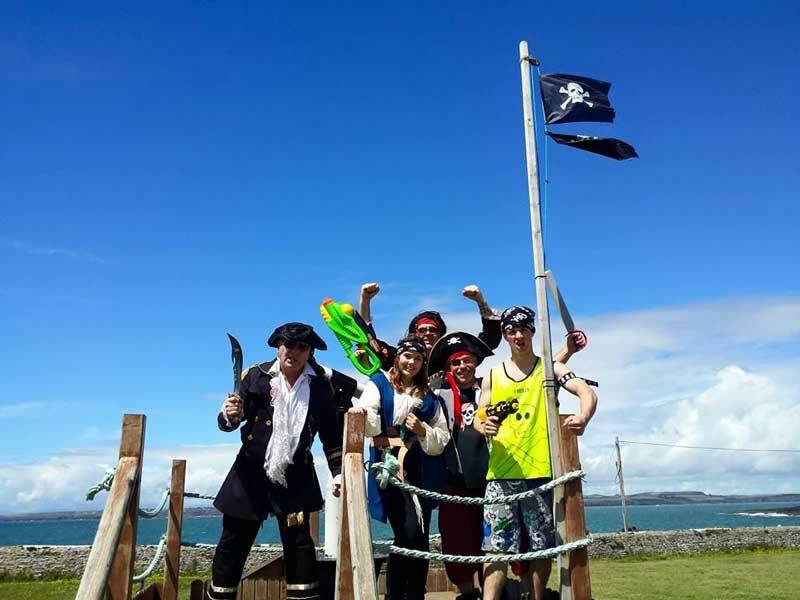 Enjoy fun and games on the lawns and our resident Captain Hook might even pay us a visit! Easter arts and craft sessions with our resident artist Rose will also be on offer. 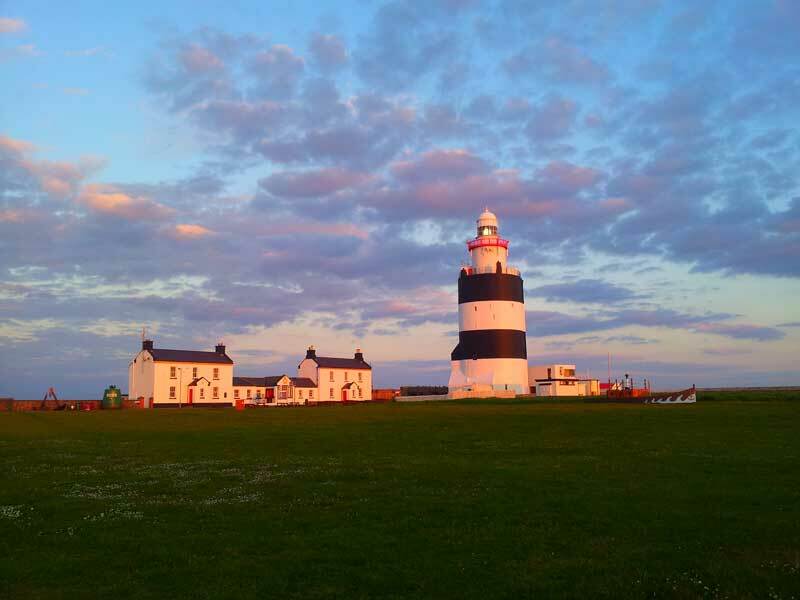 A fun-filled festival set to shine a light on all things maritime will get underway at the world’s oldest original working lighthouse on the Hook Peninsula County Wexford this May bank holiday weekend. An action-packed weekend of festivities will get underway from Saturday, May 5th from 12 noon. Join in the fun and games for all the family with games and entertainment from The Wobbly Circus. Younger visitors will also have the chance to join in pirate fun and games with the resident Pirate Pat and Captain Hook and a combat school and medieval games will be on offer from Montague Heritage or for the ‘bigger adventurous kids’ can try out the climbing wall and activities. A craft market featuring pieces from crafters based all across the southeast region will also be hosted over the weekend. On Sunday May 6th, a focus will also be placed on maritime life and the environment, in the festival marquee a series of free talks will be on offer from the experts at Leave No Trace, Ecologist and Senator Grace O’Sullivan will host a talk on marine environmental sustainability, a Smoked Salmon demonstration by award winning local Company Ballyhack Smokehouse and the RNLI will offer free life jacket safety checks. The festival weekend places a large emphasis on sea safety at what is typically the beginning of the bathing and boating season and throughout the weekend an opportunity to learn first hand about safety at sea with free demonstrations on offer from members of the Irish Coast Guard and voluntary rescue services. Also on Monday afternoon a ‘Naturalist Marine Nature Walk’ will be on offer and lead by nature heritage expert Jim Hurley, the Irish Whale and Dolphin Group will also host a talk in the afternoon at the festival marquee and a Smoked Salmon demonstration will be on offer by Ballyhack Smokehouse. As the weekend comes to an end members of the public are invited to the cobbled yard under the lighthouse to take a moment to reflect and remember all those lost at Sea, On Monday May 7th at 4pm a Pipers Lament will be performed by a member of the New Ross Pipe Band. Throughout the weekend the Hook Lighthouse team will also place a focus on the heritage and past of Hook Lighthouse, shining a light on life as it was at this, the world’s oldest operational lighthouse. The Shine A Light festival takes place in conjunction with the Great Lighthouses of Ireland, ‘Shine a Light’ events over the May bank holiday weekend whereby 12 lighthouses around Ireland including Hook Lighthouse will shine a light and celebrate and share the rich tradition and work that they of carry out daily. Also taking place on the Hook Peninsula over the weekend is the annual ‘Hike to the Hook’ event organised by Hook Tourism, walkers will take on a 20km walk along one of Ireland’s most scenic routes from Tintern Abbey to Hook Lighthouse on Saturday, May 5th. 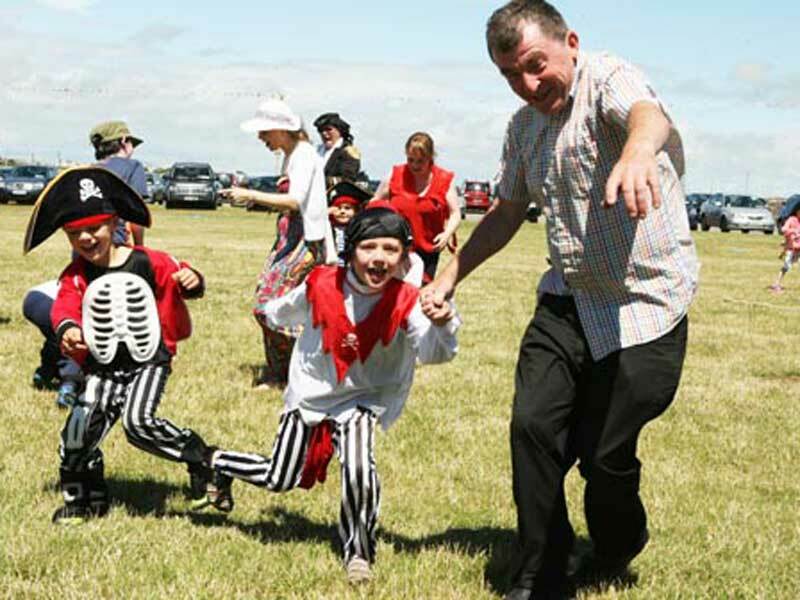 During the June Bank Holiday weekend from Saturday June 2nd to Monday, June 4th the BBQ will be fired up at Hook Lighthouse, games on the lawns and music will be in full swing and there are reports of Pirates on the horizon…. Special events at Hook Lighthouse are planned for the ‘Hooked on the Sea Festival 2018’. Hooked on the Sea 2018 will be running across the Peninsula, a host of marine themed events for all ages across the June Bank Holiday Weekend. Activities on and off the water; paddle boarding, boat trips on the estuary, local produce picnic in Colclough Walled Gardens, pirates galley in Kilmokea Gardens, beach foraging, sea themed children’s workshops and outdoor market. Hook Lighthouse is set to mark and celebrate the Summer Solstice at 7pm on Saturday, June 23rd, 2018. The Summer Solstice is celebrated across the globe for varying reasons, in Ireland, it is seen as Midsummer and a time to celebrate historical sites, the arts, and culture, it also marks the longest day of the of the year and is an indicator of the summer season’s arrival. Storyteller Baya Salmon Hawk will host an evening to celebrate the Solstice at the 800-year-old Medieval Lighthouse tower on the tip of the Hook Peninsula in County Wexford the fire pits will be alight on the lighthouse lawns, Stories around the fires will be followed by a Guided Tour of the Lighthouse Tower and a traditional Fish and Chip Supper in our Conservatory. Baya the storyteller draws from the rich history of the South East and the Celtic legends. Fully guided tours will bring visitors on a journey of discovery during a 45 minute tour of this 800 year old medieval tower, regaling fascinating insights and stories of times gone by with some help from a number of historical characters along the way after wish you can take a seat in the Light-keeper’s conservatory and enjoy the magnificent views of the rolling seas as you will be served a wonderful traditional seaside supper of chips made from fresh Wexford potatoes and a delicious fillet of locally caught seasonal fish battered in local craft beer brew batter, made especially by the in-house Chefs. Visitors can take a seat around the fire pits on the Lighthouse lawns and enjoy stories of old and fairy tales from the storyteller Baya Salmon-Hawk. Coinciding with mid-summer week this year and suitably for Wexford, is the rising of the strawberry Moon, which got its name from the Algonquin tribes who knew it as a signal to gather the ripening fruit of wild strawberries. 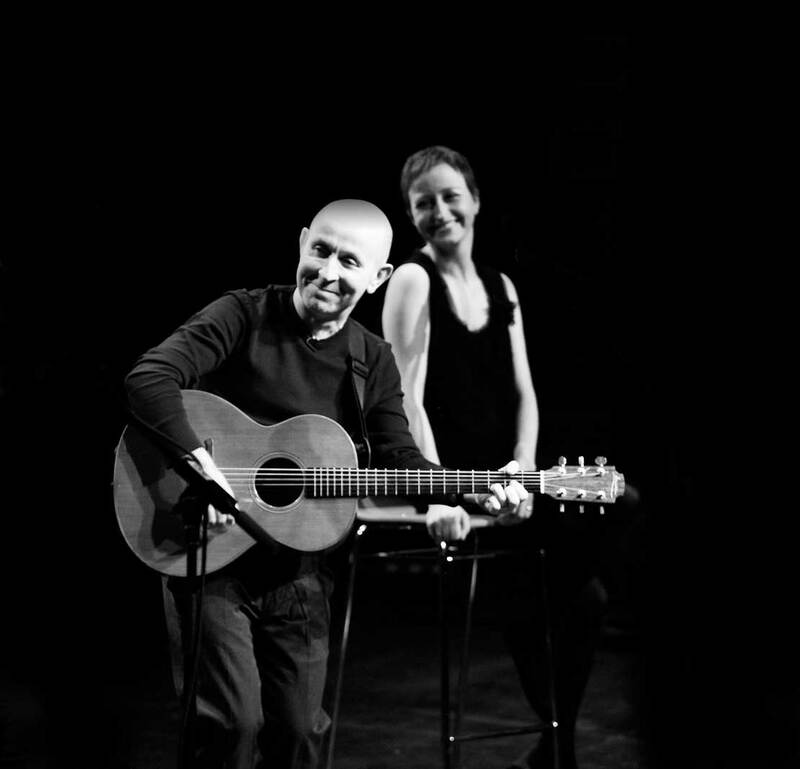 On the evenings of June 29th and June 30th internationally acclaimed singer-songwriter Kieran Goss who will also be joined by special guest Annie Kinsella will host an evening concert in the Lighthouse Tower. This special event is expected to see out in record time so be sure to book your tickets in advance with Hook Lighthouse. – Them scurvy ridden pirates are have set sail for Hook Lighthouse and have vowed to reach us and take any roamers captive by Hook or by Crook this July. – Captain Hook says they be sayin’ it be best if you ‘save yourself’ and dress like a pirate for the day in order to avoid capture and maybe win a prize in a Fancy Dress Competition. On the evenings of July 6th and 7th – The 4 of Us will host an evening concert at the ancient Hook Lighthouse. The most spectacular meteor shower of the year takes place in Ireland each August as each year in August the Earth bisects the tail of comets which are also orbiting the sun and the Perseids Meteor Showers take place. At the world’s oldest original working lighthouse, the dark skies at the tip of the Hook Peninsula underneath the reassuring beam of the Lighthouse tower, there are spectacular views of the constellations and the night skies. On Saturday, August 11th the Lighthouse Visitor Centre will remain open extra late to offer Star Gazing opportunities to visitors. The Perseids are created when the Earth crosses the tail of Swift-Tuttle, a comet which takes 133 years to orbit the sun. Meteors are created when tiny flecks of dust and debris from the comet penetrate the Earth’s atmosphere at nearly 60 kilometers per second creating a shockwave. They burn up quickly in the atmosphere leaving the impression of a huge fireball. You’ll need no equipment as you look to the skies at the Perseids offer the best movie nature can offer… bring a blanket and find a spot on the lighthouse lawns as you gaze skyward for shooting stars under the intermittent ray of light from the ancient tower. The lighthouse will remain open until 11pm offering hot chocolates and snacks at the café. 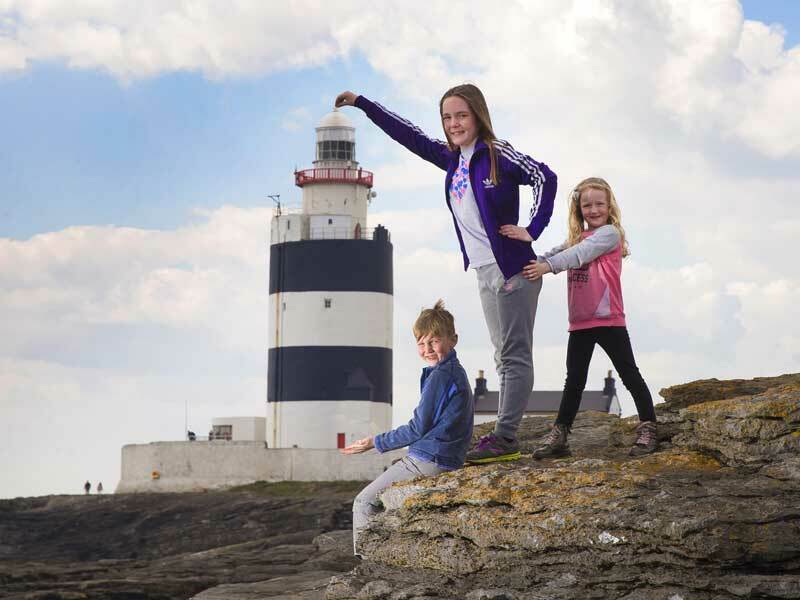 A variety of events will take place as part of the many happenings at Hook Lighthouse for National Heritage Week, which takes place from August 18th to 26th 2018. 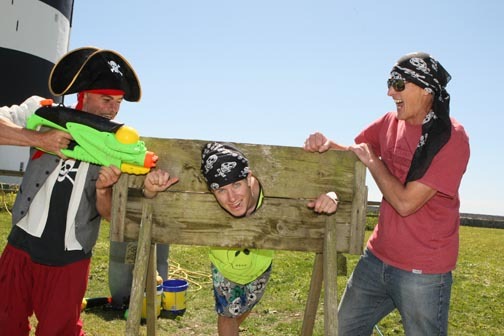 Fun is to the fore… the BBQ will be fired up at Hook Lighthouse, games on the lawns and music will be in full swing and there are reports of Pirates on the horizon. Maria Doyle Kennedy one of Ireland’s most gifted and versatile female artists will host four very special evening concerts at the world’s oldest intact operational lighthouse – Hook Lighthouse on August 10th, 11th, 24th and 25th. Maria Doyle Kennedy has forged a name and held her own in diverse arenas from film and TV to her career as a singer-songwriter. She has spent the best part of 20 years performing live all over the world to audiences ranging from the many thousands who have enjoyed her show at festivals including Glastonbury, Oxegen, Cambridge Folk Festival to the more intimate theatre concerts. 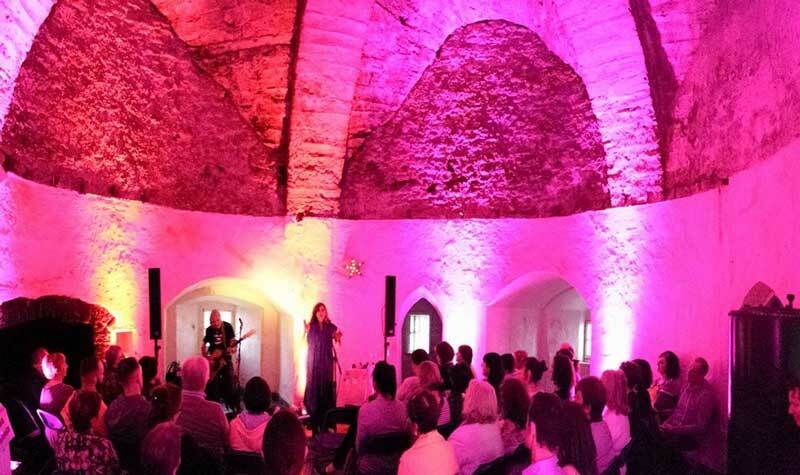 She has hosted sell out shows at Hook Lighthouse in the past and returns this month to host four more magical performances in the 800 year old Lighthouse Tower. A limited number of tickets to this fully seated event are on sale at €35. 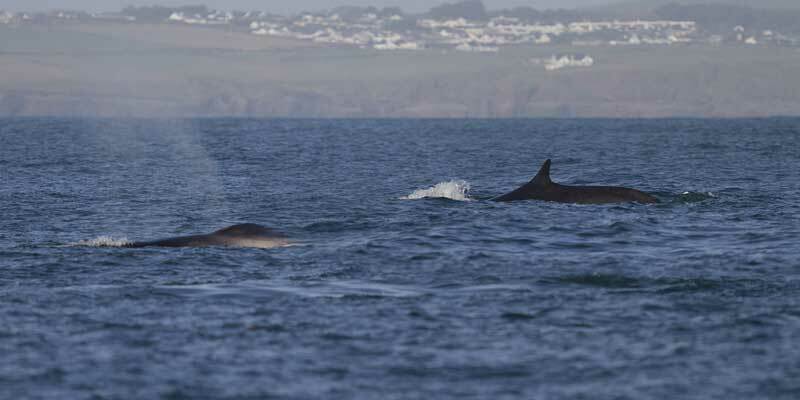 On Saturday August 25th the Irish Whale and Dolphin Group will host an information day at the Lighthouse, the group will tell visitors how best to spot the Minke and Humpback Whales which are frequently seen off the Peninsula, along with details on Dolphins,Porpoises, Seals and other sealife. And to taking the Summer season to a close for the pesky Pirates on the Peninsula, they will be given free reign of the Lighthouse for just one day. Don’t miss the calamity on Sunday, August 26th as the Captain Hook and his cronies host their final Pirate Fling, all of their usual antics and mischief will be par for the course. Hook Lighthouse is set to host its third annual Harvest Moon celebration this Culture Night, September 21st 2017. Visitors can enjoy watching the sunset and the harvest moon rise over Hook Peninsula beneath the protective beam of the world’s oldest intact operational lighthouse. From 5:30pm the Lighthouse Visitor Centre will open especially late, and invites visitors to come along and find a spot on the straw bales around the fire-pits on the lighthouse lawns and watch nature at its best during the autumn equinox, enjoy some treats from the Hook Lighthouse Barbeque and some Hook Pilsner and sample the brand new Hook beers and a harvest brew from Arthurstown Brewing Company which have all been brewed from the harvesting of locally grown malted barley. Musicians will be playing on the lawns and the Hooks and Crookes sea shanty singers will also be on hand to perform some favourite sea faring songs. Discover the history and mystery of the 800-year-old Hook Lighthouse and celebrate a traditional Samhain Festival from October 27th to October 29th & 31st 2018. Féile Samhain at Hook will open from 4pm to 8pm each evening (Oct 27t to 29th & 31stinlcusive). an ‘Evening of Fire’ based on the ancient tradition of Samhain of extinguishing old and lighting anew will take place. 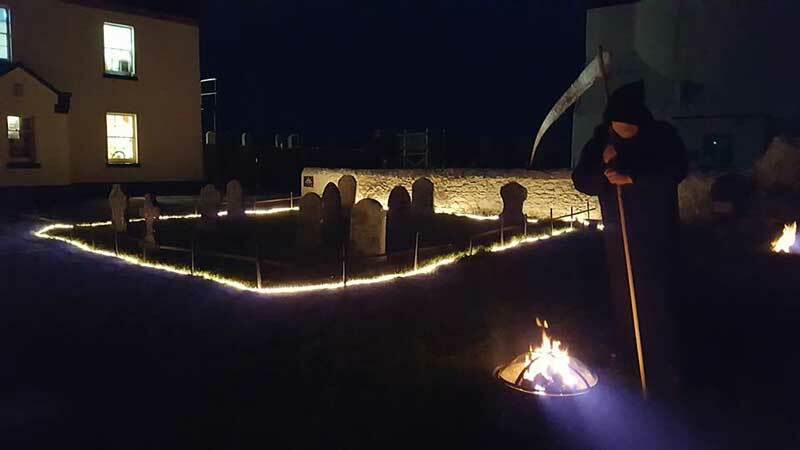 Age-old tales of Samhain will be shared by ‘Druids’ around the circles of fire at Hook Lighthouse; families are invited to gather around the blazing fire baskets beneath the ever-present beam of the 800-year-old lighthouse to hear stories of druids and sncient Irish Samhain customs and heritage in the graveyard of one thousand ships. A family evening, withchildren’s entertainment, Halloween stories. These events are on offer free of charge and no pre-booking is required. Pumpkin carving with the resident artist at Hook Lighthouse, Rose, will also be on offer from €5. On the eveing of October 31st an ‘Evening of Fire & Spoken Word’ will be on offer on the LIGHTHOUSE LAWNS. 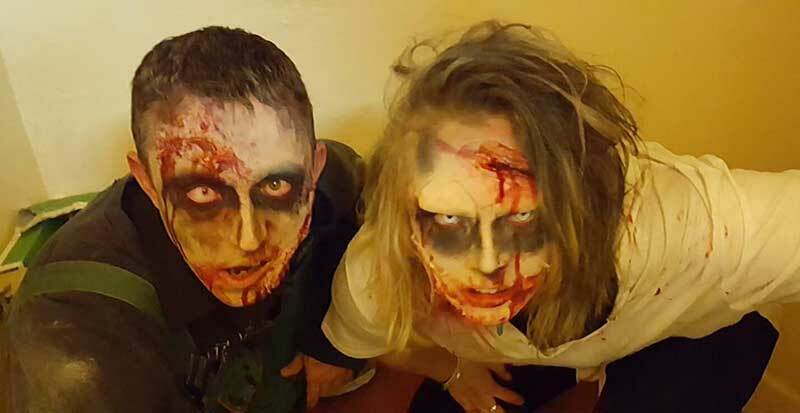 During the evenings (Saturday, Sunday & Monday) special ghastly lantern-lead Halloween tours only for those who like the ghoulish and ‘sphooky’ will be on offer at 5pm, 6 pm, and 7 pm. Venture into darkness as you ascend the 115 steps of Lighthouse tower for a night-time view of the graveyard of 1,000 ships, explore the original keepers’ quarters and learn about the Ghostly tales behind the Lighthouse and its grounds including the paranormal experiences of previous guests and staff. Atmospheric lighting and creepy nooks and crannies along the way create an experience which is not for the faint-hearted. These tours are suitable for brave adults and braver kids but are not for anyone of a nervous disposition. 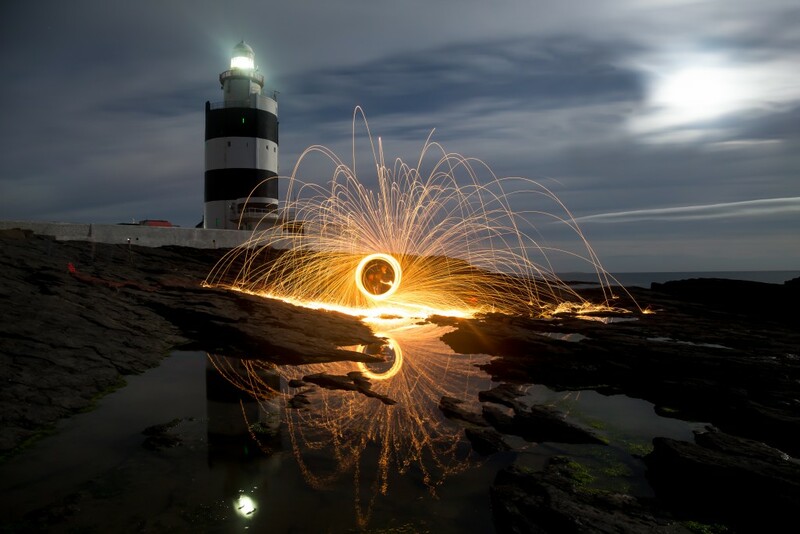 Pre booking is advised; tickets to these ghostly Halloween evening tours at Hook Lighthouse are available online at www.hookheritage.ie at €10.00 per PERSON. During mid-term Halloween themed art workshops will also be on offer for kids and wimps. The Lighthouse café will serve traditional fare. November marks the beginning of Whale watching season off the Hook Peninsula. 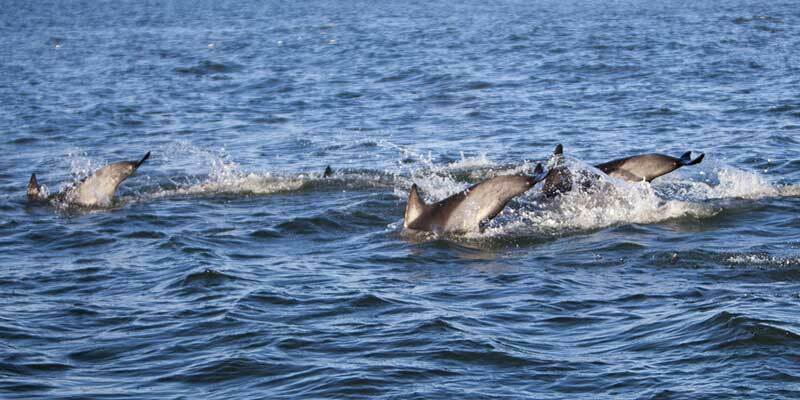 The waters around Hook Peninsula are frequently visited by majestic whales, such as Humpback, Fin and Minke, along with Harbour Porpoise, Common Dolphins and Seals. The Humpback has become particularly associated with the Hook Peninsula. This is one of the largest animals on the planet and is best seen during the winter months when they visit our warm waters to feed. They don’t have true teeth but large filter type ribbons (Baleen plates) lining their huge jaws. When feeding, they open their jaws wide while swimming through shoals of small fish and plankton (tiny marine animals). The jaws then close again, while the tongue which is the size of a car, pushes the water out, trapping the food against the filter plates. The red balcony at the top of Hook Lighthouse is an ideal viewing point for whale, seal and dolphin watching, while there are also chartered whale and dolphin watching boat trips. Hook Lighthouse is closed from 5 pm December 23rd and re-openes on December 26th (St. Stephen’s Day at 11am).